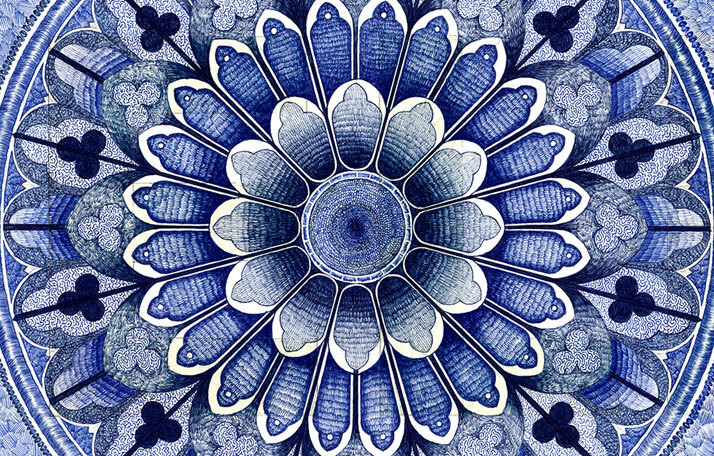 There’s a certain affinity for textiles and all things blue at Yatzer these days, so these mesmerising pen drawings by French artist Jonathan Bréchignac seem right at home here, continuing the theme. 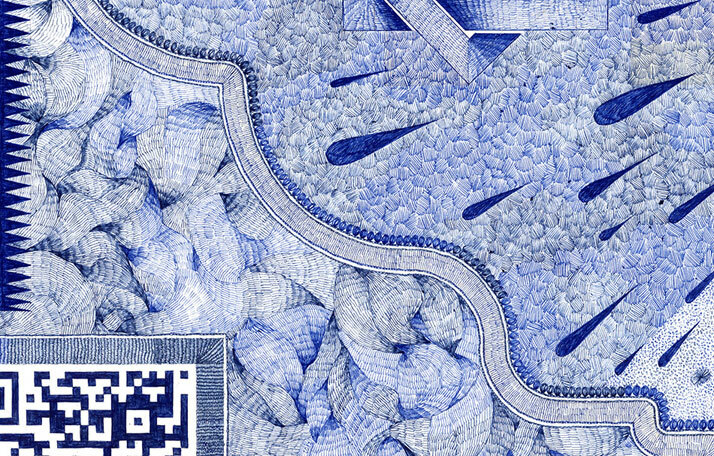 Their creator is Jonathan Bréchignac, art director of Joe&Nathan studio in Paris, France, who chose to create his seductive drawings on paper using just simple Bic pens. 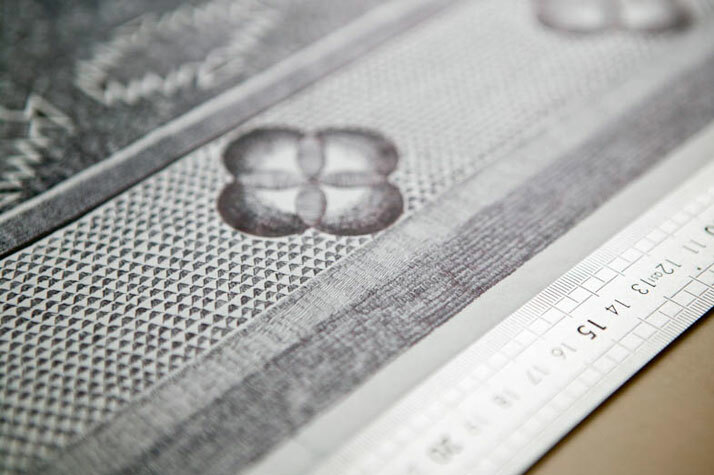 Each ''carpet'' can take up to eight months to complete, while the very first one was in the making for a year and a half. 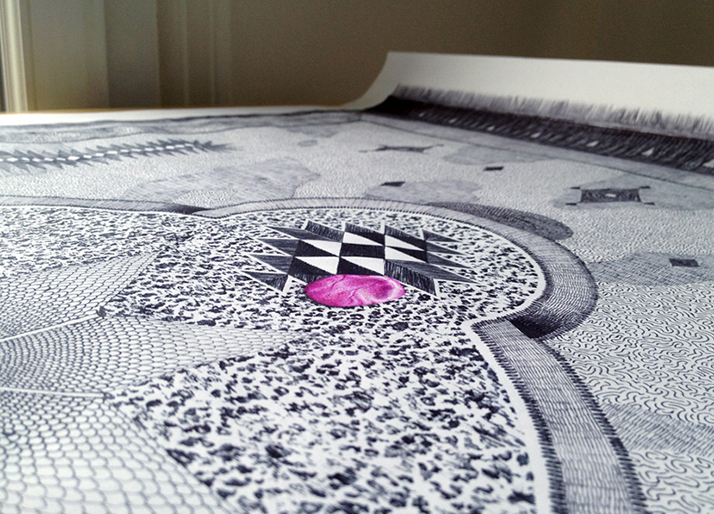 For Bréchignac, creating these drawings through such a long and meticulous process is akin to being a scribe or a monk: every day he picks up his Bic pen as he fills in the white of the paper, treating his delicate effort as a meditation - an activity which allows him to relax and focus. Ultraviolet -The Blue Carpet // photo © Jonathan Bréchignac. 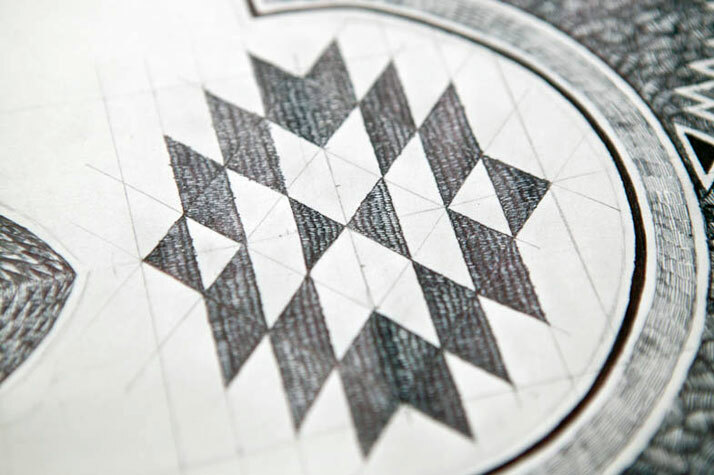 The whole process, and in some way the visual result as well, remind us of the Hindu practice of creating Mandalas - homocentric, symmetrical drawings of mind-expanding complexity that represent the entire universe. 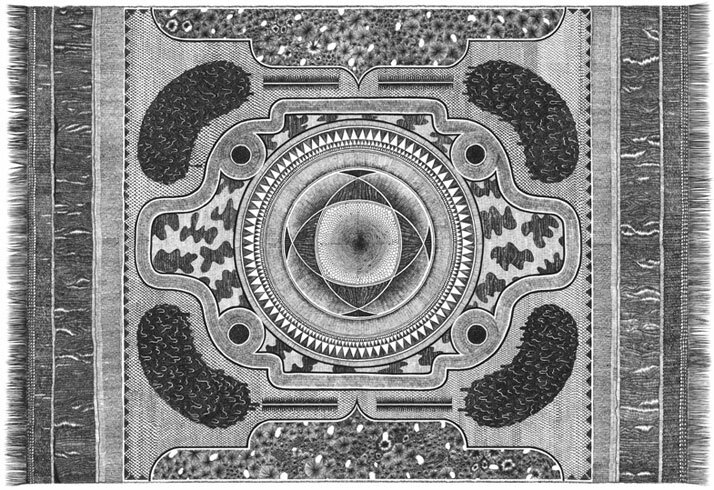 However, Jonathan Bréchignac got his idea not from the Hindu culture but from the traditional Muslim prayer rug, a rectangular woven tapestry used to cover the ground on which believers kneel down to pray. 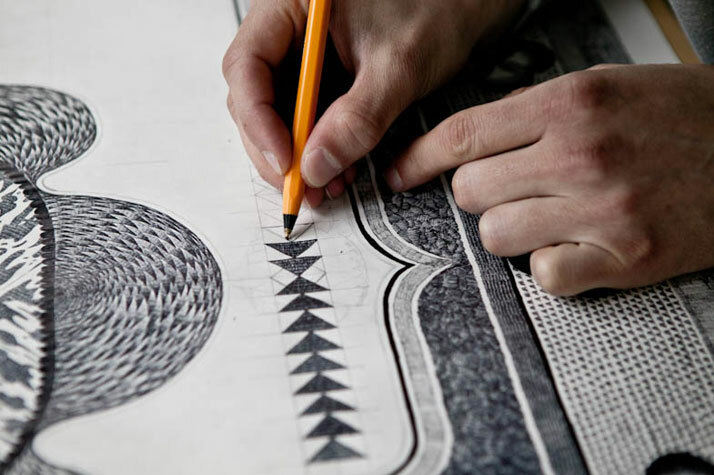 Inevitably, Bréchignac's designs draw from the non-figurative decoration of Arabic and Muslim art and architecture and are infused with motifs and elements from other cultures (French Roman, traditional Japanese, Native American and Mexican), as well as contemporary pop culture. 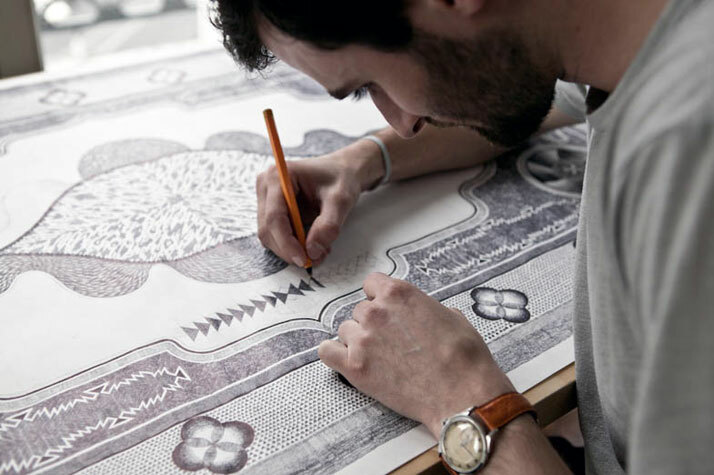 Jonathan Bréchignac wanted to create something enduring and slow-paced, something that would be the result of a longer process. 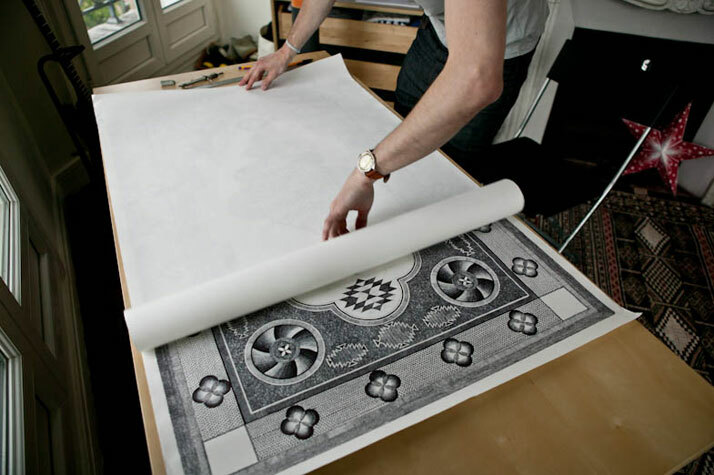 The carpet drawings grow spontaneously as they are being made, with the artist having no predetermined master plan on which the designs are based. 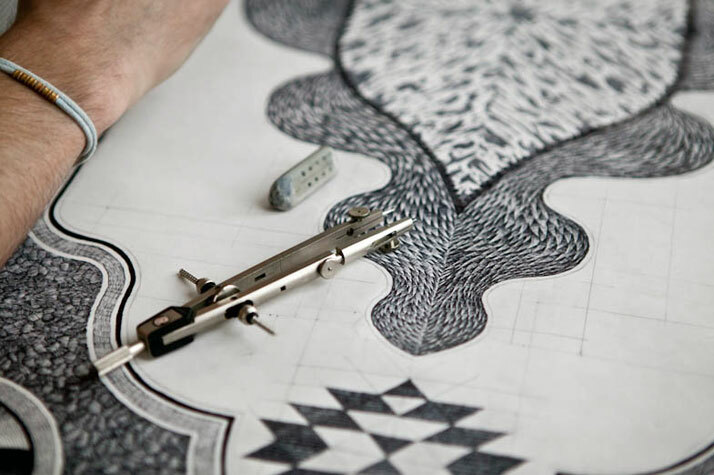 For him, creating these drawings is like making something that is bigger than oneself, with an almost religious reassurance that indeed patience and hard work can make big things happen. 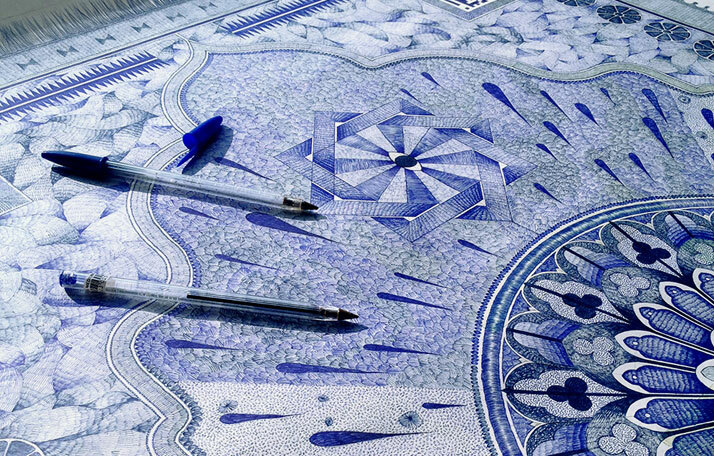 If these carpets are a meditation on time and the universe, Bréchignac is measuring the entire world, with one pen stroke at a time. 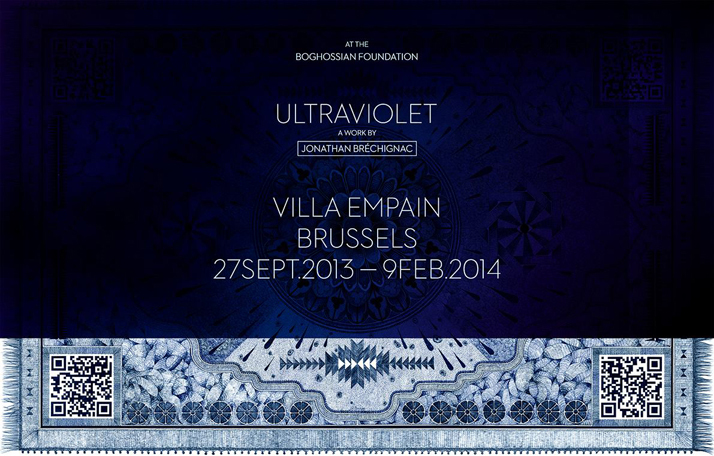 Bréchignac's latest carpet creation, titled Ultraviolet -The Blue Carpet is a post-digital masterpiece that contains four hand-drawn QR codes which connect to an equal number of websites. 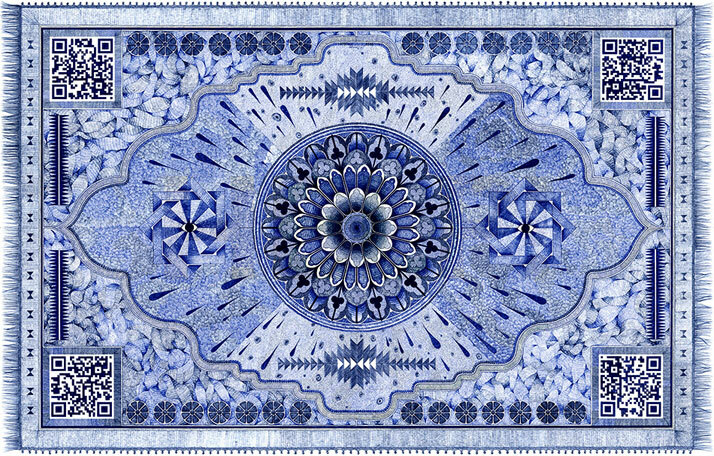 Making its debut in Brussels, at Villa Empain, the piece itself will be on display from September 27th, 2013 to February 9th, 2014, as part of the The Blue Route: Journeys and Beauties from the Mediterranean to China Exhibition.